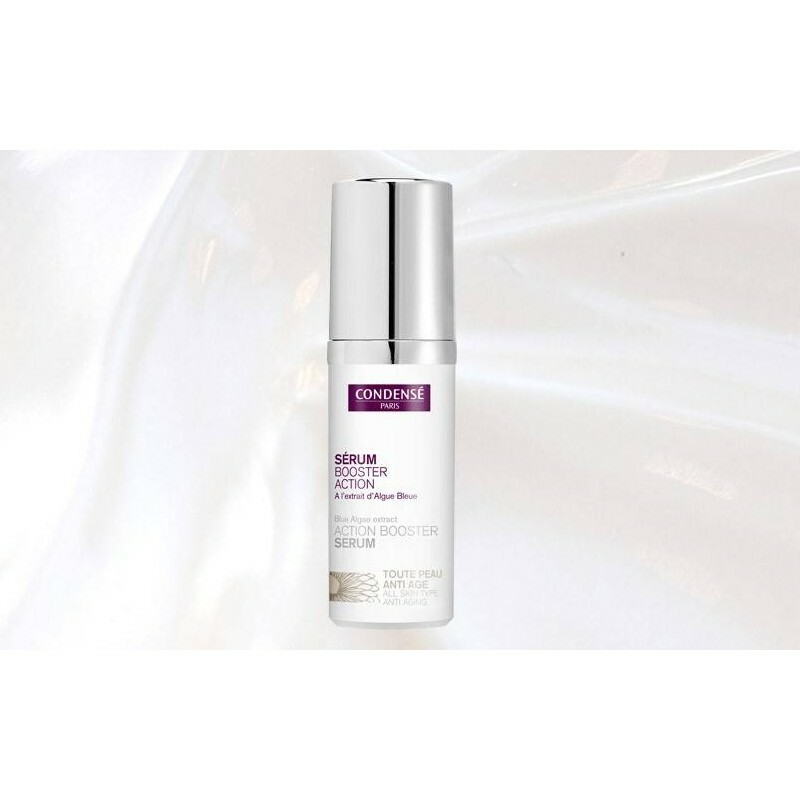 Extremely concentrated in natural active ingredients mainly coming from algae, this highly active serum helps reactivate regeneration of skin process. 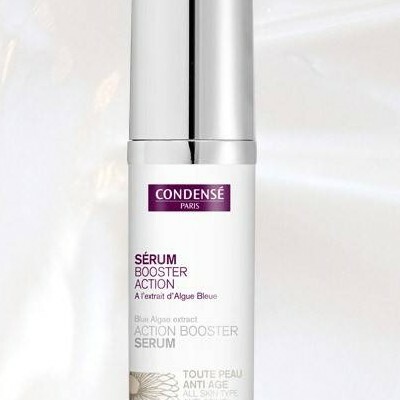 Its action is also targeting aging effects such as firmness and wrinkles. Boosting moisturizing helps you regain as well youth and smoothness. 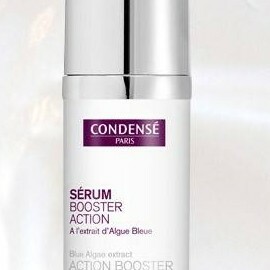 This serum is a powerful multi function serum, fitting all type of skin and very powerful for mature skin. Apply on face and neck every morning and evening before cream. Aqua (Water),Glycerin, Octyldodecyl Myristate, Olea Europaea Fruit Oil, Jojoba Esters, Butylene Glycol, Cetyl Alcohol, Pentylene Glycol, Xylitol, Sea Water, Propylene Glycol, Helianthus Annuus (Sunflower) Seed Wax, Microcrystalline Cellulose, Pullulan, Sodium Alginate, Parfum (Fragrance), Xanthan Gum, Caprylyl Glycol, Acacia Decurrens Flower Wax, Polyglycerin-3, Cellulose Gum, Prunus Amygdalus Dulcis (Sweet Almond) Protein, Algae Extract, Phenoxyethanol, Cassia Angustifolia Seed Polysaccharide, Viola Tricolor Extract, Hydrolyzed Algin, Helianthus Annuus (Sunflower) Seed Oil, Biosaccharide Gum-1, Saccharide Hydrolysate, Polydextrose, Trisodium Ethylenediamine Disuccinate, Rosmarinus Officinalis (Rosemary) Leaf Extract, Nelumbo Nucifera Flower Extract, Artemisia Abrotanum Extract, Glyceryl Caprylate, Sodium Benzoate, Potassium Sorbate, Hydroxyethylcellulose, Chlorella Vulgaris Extract, Iris Florentina Root Extract, Citric Acid, Ethylhexylglycerin, Sodium Hydroxide, Sorbic Acid, Aspartic Acid, Sodium Chloride. je l'adore il me redonne de l'éclat!!! anti oxydant et booster, sérum à la texture fluide, non gras. Ne peluche pas avec ma crème!! vraiment agréable et effets visibles rapidement, ma peau est plus nette et rebondie. avec le changement de saison il permet à ma peau de mieux supporter le changement!!! Merci à mon amie pour le conseil.